Pale straw color; orange peel, dried herbs, jasmine on the nose; mandarin orange, green apple, lemon zest, white peach and pear on the palate. Dry; crisp. Furmint is a major grape in Hungary, usually associated with sweet Takaji Aszú desert wines, but it now is making a name for itself as a dry white wine, sometimes noted as “chenin blanc with an attitude.” Delicate but full with some oiliness in the mouth. Excellent balance and finesse with appreciated seam of cutting acidity which serves well in food pairing, especially with seafood and spicy foods. This is a step out of the box wine. 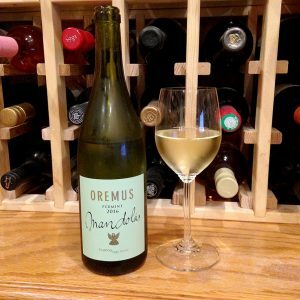 It tastes like a bone-dry white in the spirit of chenin blanc, sauv blanc, un-oaked chardonnay, but it is different from all those. Fruitiness is muted, even flirting with austere, which is why it demands to be a complement to food. It decisively is not another boring white, while at the same time decisively is not a harridan demanding immediate and undivided attention. You gotta taste this to understand and appreciate. 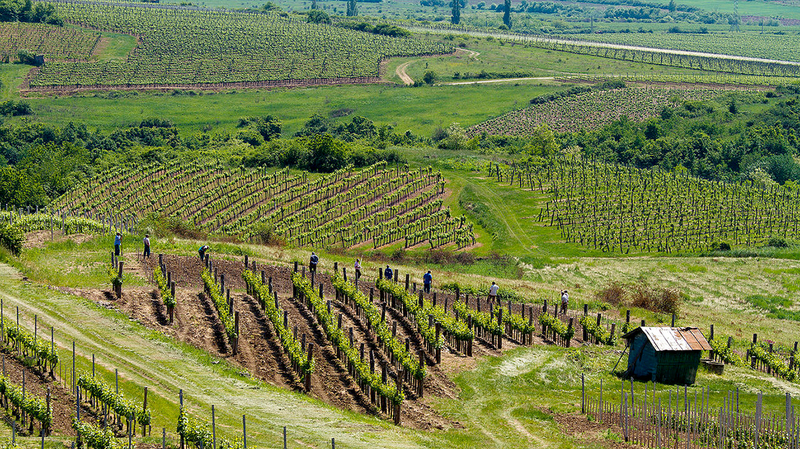 The Hungarian winery traces its roots to 1982 when the Álvarez family purchased the land from a Venezuelan businessman. 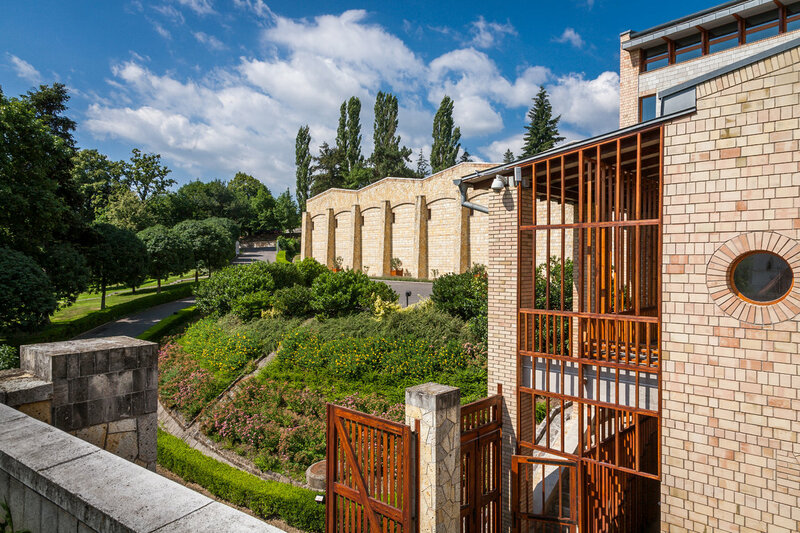 The family focused on updating facilities and pushing Hungarian wine into contemporary categories—food wines beyond the scope of the traditional dessert wines for which Hungary and furmint grapes are best known. 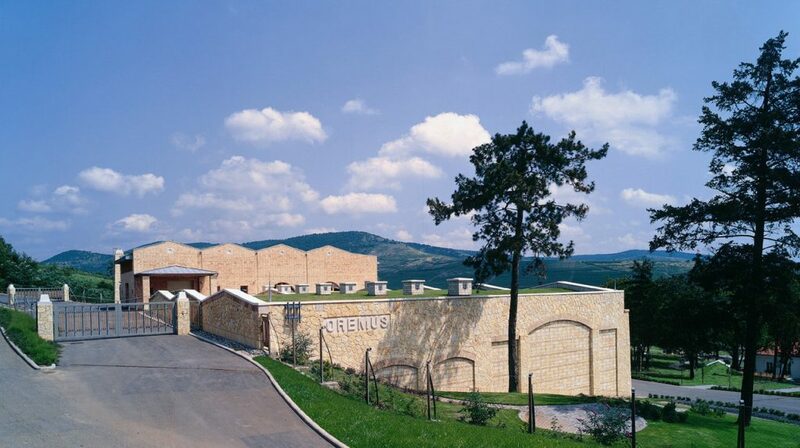 Tokaji-Oremus was created in 1993, three years after the fall of communism in Hungary. The estate has a treasure in several miles and five levels of underground cellars dating back to the 12th century, a reminder that winemaking has centuries-old roots in places beyond France, Italy, and Spain. Hand hewn into volcanic rock, the historic cellars are used today for aging Oremus wines.